Sportsmobile Forum - measuring my lift? I've got an unmolested Quigley system in my 1995 SMB (Ford RB). I took some measurements yesterday but don't know what to do with them. Does this van have a 4 or 6" lift? I honestly can't tell. I'm used to looking at them but not sure how to tell or measure exactly. I have all of the OEM paperwork on the van and from Quigley but this is not mentioned. It's on my list to call Quigley with a VIN. I believe I've read here that they will send you a comprehensive parts list? Can you post some pictures? Below are pictures that someone else sent me that show what we need to see. A picture from the front, looking at the axle and rubber bump stop, will also help. Measure from the ground to the bottom of the wheel well. Compare that measurement to a stock van to determine lift. Obviously, tires add into lift as does the actual conversion. If you need additional measurements let me know. Yes, email Quigley with your VIN and they will send you a couple of .pdf files showing the parts they used on your vehicle. If your final gear is a 4:10 then they matched the front pumpkin to that .. unless the previous owner changed them. My Quigley clears 265/75-16s in the front with just a slight trim of the lower plastic part of the front bumper. I'm pretty sure it will not clear 285s. Similarly my stock 2WD clears 245/75-16s (the optional OEM tire size) and I'm pretty sure it will not clear 265s. I'm saving up my pennies to maybe get a 2in lift someday. Thanks everyone, I took measurements compared to my 2WD van, which was the quickest and simplest way. Looks like a 4 inch lift. I was thinking that but rarely see any lifted vans without bigger tires so it's harder to just look at one and tell. 8 inch lift I can definitely guage without a measuring tape! I had a similar thread about 6months ago with some measurements from mine and other rigs. Don't have the link but it should be findable. Thanks Viejo, I think that's the one Ray linked above. I checked it out and it was helpful. I DID use the search function before starting a new thread FWIW but I didn't find yours. Anyway, does anyone know if the standard lift for Quigley is a 4" or is mine uncommon? I'm looking for some used springs with out the rust mine have and I know several folks have upgraded to the 6K springs. Oh, the van is a 95. 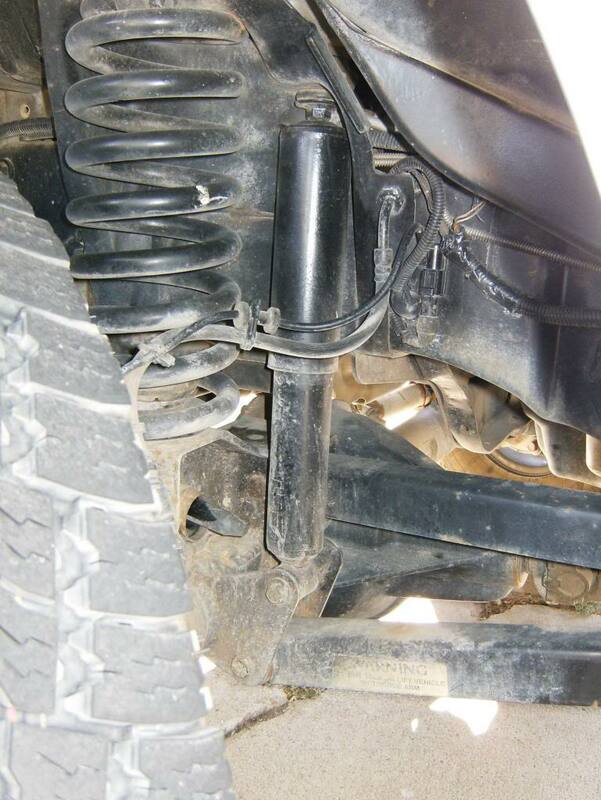 In many ways, saying it is a 4" lift really doesn't mean anything once you changed front suspension types from the original 2WD Twin I-beam to a Quigley straight axle. For example, if in stock 2WD configuration the height of some point on the front bumper is 20 inches off the ground, the van will have several inches of bump travel. 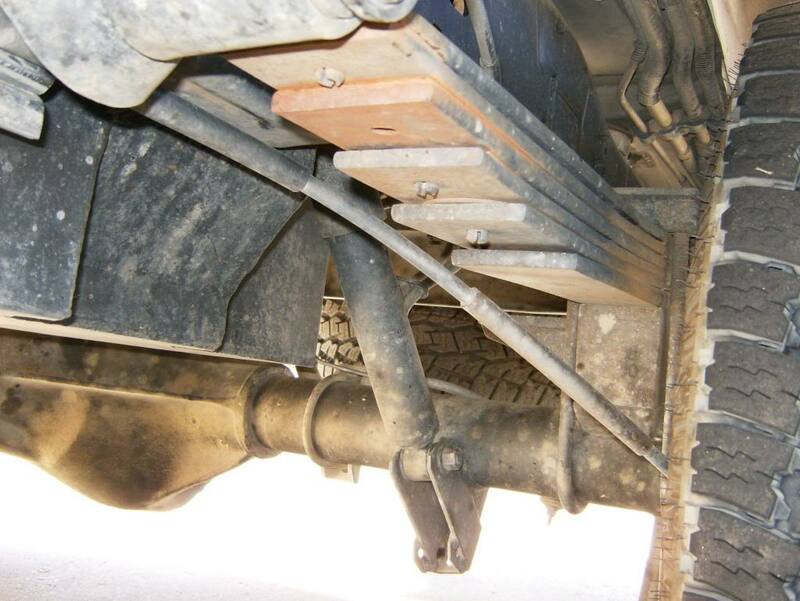 Put the Quigley axle under it, with no springs so that it is completely bottomed out, and the same point on the bumper will be two inches higher, sitting on the axle. Sure it is a "two inch lift" but who cares. Anyway, does anyone know if the standard lift for Quigley is a 4" or is mine uncommon? Oh, the van is a 95. Post pictures like above and we can tell you. Do you really care about the height of your "lift" or the functionality of your suspension? Thanks Baja, I will take some pics but haven't had a chance to. I'm not one of those types who is looking for maximum lift, I'm just curious what it is. Mine is most likely going to stay like it is, whatever it is, but I've got a lot of rust under there so I'm trying to figure out what's under it so I can be on the lookout for replacement springs and shocks. These are way rusty and those 2 components will probably be easier to replace than to de-rust. I hope to get started with the sandblaster in the next week or two.